Butyl acetate is also called butyl ethanoate is an organic compound, a colorless solvent with medium volatility and a characteristic fruity ester odor. It is found in many types of fruit, where along with other chemicals it imparts characteristic flavors and has a sweet smell of banana or apple. 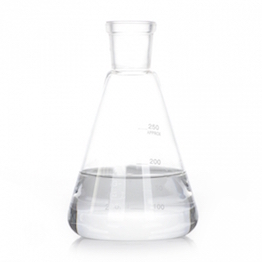 Butyl acetate is a medium boiling ester solvent. It is highly flammable and miscible with all common organic solvents but has only slight miscibility in water. Butyl acetate is volatile in the atmosphere and undergoes photochemical oxidation reactions with hydroxyl radicals and chlorine atoms. Esterification of butanol and acetic acid produces butyl acetate. The catalyst is sulfuric acid. The removal of water by azeotropic separation forces the reaction to completion. The acid catalyst is then neutralized and the ester undergoes purification by distillation. Butyl acetate occurs naturally in bananas and related fruits and is produced and emitted during fermentation. It has also been found in a wide variety of food products. It is used as a synthetic fruit flavoring in foods such as candy, ice cream, cheeses, and baked goods. Butyl acetate mainly used as a solvent in lacquers, inks, adhesives and a thinner in the production of nitrocellulose lacquers. It is also used in the manufacturing of high-polish lacquers and varnishes, photographic film, nail polish removers, oils, fats, vinyl resins, waxes, and camphor. Due to its low solubility in water, butyl acetate is used as extraction solvents for fine chemicals, particularly for certain antibiotics. They are also used as a chemical intermediate to manufacture, synthetic flavourings, cleaners, and other organic compounds. Butyl acetate is a good solvent for a broad range of resins as they are miscible with almost all common organic liquids.